Do you own a cell phone? Perhaps you live near a cell tower or power lines? Maybe the wires in your wall are putting of harmful “dirty electricity”. Did you know that there’s a surprising amount of evidence suggesting that electromagnetic radiation is harmful to our health? The frequencies emitted from these devices have all kinds of harmful effects all the way down to the cellular level. EMF expert and acclaimed author Magda Havas discusses how damaging this radiation is to our immune system, how we get exposed to it and more importantly how we can significantly reduce and perhaps eliminate our exposure. Is your cell phone killing you? You’ll be surprised by what Magda Havas says about that. – Click to tweet this! Guest Info: Magda Havas is Associate Professor of Environmental & Resource Studies at Trent University where she teaches and does research on the biological effects of environmental contaminants. Dr. Havas received her Ph.D. from the University of Toronto, completed Post-Doctoral research at Cornell University, and taught at the University of Toronto before going to Trent University in Peterborough, Canada. JUSTIN: A very pleasant good evening or a good afternoon to you everybody. I hope you’re having an excellent day out there, whatever you’re doing right now. It’s a beautiful day here in Southern California and thank you for joining us. We have a really great show for you today. We’ve got Magda Havas on the line and she’ll be talking about electromagnetic radiation, so this is going to be a really, really good show. So, thanks for joining us. We are currently doing three shows a week, on Monday, Wednesday and Friday. Today is Monday, October 22, 2012 and this is episode #25, and you can find this show at extremehealthradio.com/25 and on that show page, there will be transcription and show notes with websites and reference materials and all that good stuff. So, please check out that show page. Also, if you have a question for our guest, or for me, email them to me, justin@extremehealthradio.com as I’d love to hear from you. Or, you can call our voicemail line, which is 949-391-7363 and I will play your message to our guest live on the air. 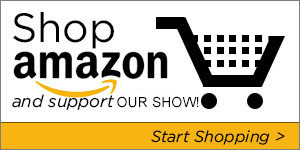 Also, I wanted to let you know that this show is brought to you bylessemf and they are a great website selling lots of great electromagnetic radiation items, over 300 items, so check that out at extremehealthradio.com/lessemf. They are sort of a one-stop shop for this type of information. Before we introduce Magda Havas, I want to give you a brief rundown on the upcoming show schedule. We’ve got Dr. Mark Sircus out of Brazil and he’s a prolofic guy, the director of the International Medical Veritas Association. He’s written some amazing books on cancer and heart disease. 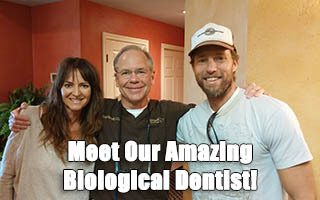 We have Dr. Jack Tips next Friday, who is a prolific individual himself. We’ve got Danny Roddy on the following Monday. He talks a lot about stress and he’s a big fan of Dr. Ray Peat and looking into his work, so that should be fun. I would like to introduce Magda Havas. She is the Associate Professor of the Environmental and Resource Studies at Trent University. She teaches and does research on the biological effect of environmental contaminantes. She received her Ph.D from the University of Toronto and she completed a post-doctural research at Cornell University and taught at the University of Toronto before going to Trent University in Peterborough, Canada. She is the author, with Camilla Rees of Public Health SOS: The Shadow Side of the Wireless Resolution. So, thank you so much Magda for joining us today. MAGDA HAVAS: My pleasure Justin. JUSTIN: You are calling in from Canada, is that right? JUSTIN: Excellent, when did you publish that book. It sounds interesting, The Shadow Side of the Wireless Resolution. MAGDA HAVAS: A few years ago, after we held the Commonwealth Club meeting in San Francisco. It was based on questions that the audience had. We asked them to write their questions on little cards and there was so much interest that we didn’t have a chance to answer all of their questions at the meeting. So, Camilla and I decided to put the questions in a book, answer them there and make them available to anyone interested. JUSTIN: Wow, so people can get that book on Amazon or where can they buy it? MAGDA HAVAS: Amazon.com and the price is $20, so it’s not very expensive at all. JUSTIN: Great, now you’ve been involved. I was going through your website recently and you’ve got a lot of great videos on there, and articles. So, you’ve been involved in this for many, many years. MAGDA HAVAS: Yes, I have. JUSTIN: What initially got you involved in this type of research? MAGDA HAVAS: The research I was doing prior to electromagnetic radiation was on chemical toxicants in the environment and environmental toxicologists and I worked on air quality and water quality, particularly the effects of acid rain on aquatic ecosystem. I worked with Cornell, as you mentioned, and I worked in the Canadian artic and I worked in Ontario at smelter sites, and one of the courses I teach at Trent University is called Polution Ecology, where we deal with different types of environmental contaminants and teach the students, you know, where they come from, how they’re transformed in the environment, what effects they have on the environment and what can be done to mitigate those effects. I was reading some studies on childhood leukemia, kids who live near power lines have a great risk of developing leukemia. The authors thought that it was associated with the electromagnetic fields coming from power lines. I thought that this would be a totally new topic to introduce into the course than reading the literature, and I found that it was really all over the place. This was back in the early 90’s, and then some people were saying that this is a very serious problem and other people were saying, well all the studies that have been done are flawed in some way. I felt that the science wasn’t yet at a stage, you know, where I could teach about it in a way that really made sense to the students, apart from introducing them to a lot of controversy, which can also be useful. One day, my husband went to visit his brother in Wales, who is an engineer, and one night while walking his dog, mhy brother-in-law pulled out a fluorescent tube when they were walking near a power plant, and he held it up under the high voltage transmission lines. The tube lit up and he was doing this to impress his younger brother. My husband came home and told me about it and I got quite excited, so we went out to the nearby transmission lines and I did the same thing and it lit up. It was really fascinating to me as it only lit up to where my hand held it. If you point it towards the sky and you grab the tube in the middle, only the top lit up and the bottom part ……6.40….I wanted to understand what was going on and I went to a physics professor at my university, a friend of mine, and I explained it to him. He said that everyone knows that. I said, well, not everyone as it was new to me. He began to explain to me what was going on and I recall asking him a specific question. I said, do you think that this could contribute to childhood leukemia? It was really his answer that caused me to look into this a lot more carefully, and his answer was definitely not. It definitely can’t contribute to childhood leukemia, and when I asked him what he based that information on, he said that the frequency is too low to cause any damage to the cell. If that’s where the theory is, that it’s theoretical not possible for this relationship, but if the evidence is showing something contrary, then we have to readjust the theory and that’s what I decided to do. I went and scoured the literature, I went through all the childhood leukemia studies and indeed, there was a relationship that was worth examining in greater details. The studies were not bogus that were finding these adverse effects. I then went through the literature on occupational safety, you know people who worked on power lines, and in fact, low and behold, they also had a higher risk of leukemia, as well as brain tumors and breast cancer, among both men and women. That brought me on to this and I began to teach about it and now I’m actually doing research. So, that’s my answer to your very short question. JUSTIN: It’s fascinating. Would you say that childhood leukemia is caused by this or is it definitely, at the very least, a correlation? MAGDA HAVAS: That’s a very interesting question as well. I would say that it doesn’t cause leukemia, in the sense that it doesn’t cause the original damage to the cells, but it seems to promote the growth of cells, and that’s if they’re cancerous cells or non-cancerous cells. So, if a child develops leukemia, for whatever reasons, somehow the body’s immune system is not effectively able to deal with it, if they’re exposed to electromagnetic fields. So, it gives the leukemia a bit of a boost over the body’s immune system, and I think that’s the reason that the rate of ……..9.17…..for kids who actually are exposed at their homes to power lines. JUSTIN: So, leukemia, or damage to the cells, be caused or be related only to power lines, or to maybe dirty electricity in the wall, or what’s the correlation there? MAGDA HAVAS: We talk about dirty electricity, and probably most of your listeners don’t know what that is. Let me just go back a little bit, as we’re sort of jumping right into the middle of the pocket. If you look at the electromagnetic polution, I call it polution, but in Europe it’s called electro smog. We’re talking about electromagnetic energy that is non-ionite, so we’re not talking about x-rays or radon gas or gamma radiation, or even ultraviolent radiation. We’re really talking about levels on the electomagnetic spectrum that are non-ionizing. That includes radiofrequency in extremely low frequency and it can also include light and infrared, but I tend to focus on the microwave for radiofrequency and the extremely low frequency. Within that band, if you look at the biological consequences of this type of exposure, they fall into four different categories. The first category is called extremely low frequency electromagnetic fields, or EMF, and this is where the childhood leukemia was first associated with, the low frequency magnetic fields coming from power supplies. They weren’t measuring power quality and they weren’t measuring anything else. The second area that seems to be important, is an area with higher frequencies. This is the ……. 11.03…..of thousands of cycles per second, and let’s recall power quality and dirty electricity. This is something that flows along your wires, and the closer you …11.19….these wires, the greater your exposure inside a work place or inside a school. The third area is radiofrequency radiation going up to the microwaves. Microwaves is part of the radiofrequency spectrum, but at a higher frequency, about 300 million cycles per second or megahertz, and here we have radiation flowing through the air at very high frequencies, so these three areas are really quite distinct. Now, there’s a fourth and that’s ground current. This is radiation or electricity that goes through the ground. It comes into your home through your plumbing, because everything is grounded to plumbing. Or, if your walking on the ground, it can actually go into your body. That’s how we first learned about it, on farms, where cows were standing on the ground, the electricity was flowing through their bodies and it interfered with their milk production, and actually caused all sorts of health problems as well. So, these four areas are critical and you measure them differently and you treat them differently. The effects are slightly different, although there’s a lot of overlap. JUSTIN: Which one of those four would you presume to be the most dangerous? Is that a valid question or are they just different? MAGDA HAVAS: I don’t think that’s a totally valid question, I think they’re just different. They all cause problems and they’re not all present in the environment at the same time, or in the same way. So what you have to do, if you’re concerned about exposure, you would have to measure your environment and you would measure your environment for those four different aspects, using different meters and diffent methods of measurement. Then, depending on what you were exposed to and what the levels were, people can recommend what you can do to minimize your exposure. Some things virtually cost you nothing to minimize your exposure and other methods are quite expensive, depending on what the source is. JUSTIN: Okay, so on top of that, there are diffent appliances, right, that emit some sort of frequency, like hair dryers and vacuum cleaners and things like that? Are those emiting harmful frequencies as well, or are they pretty innocuous? MAGDA HAVAS: You picked two good ones actually, Justin. The hair dryer has a very high magnetic field and it’s the same magnetic field that has been linked to childhood leukemia. Now, the amount of time that someone uses the hair dryers is quite limited, so for home use, I wouldn’t be too concerned about it. However, if you’re suffering from a brain tumor or breast cancer, or even leukemia, I would minimize exposure to things like hair dryers, computers and other devices that emit the low frequency electromagnetic fields. If you’re a hair stylist, that’s quite different, because you’re going to be exposed for much longer during the day. So, occupationally, it’s much more damaging. When it comes to the vacuum cleaner, vacumm cleaners produce something called dirty electricity, and that’s been linked to cancer and various types of symptoms that we now classify as electrohypersensitivity. If you happen to vacuum your home once a week, it’s probably not a big issue, but if you’re in the business of house-keeping, for example, and you’re using the vacuum for hours each day, then your exposure might be considerable. There are ways of dealing with the dirty electricity. You can filter it, for example, and basically minimize your risk. JUSTIN: Later on in the interview, I’d like to get into all the different ways we can mitigate some of these issues. If people feel like they’re exposed, because there’s cell towers everywhere and there’s basically no way to get yourself away from these things, as they’re basically everywhere. What would you suggest that the first thing someone should do? Maybe get some meters and start looking into what their exposure actually is? MAGDA HAVAS: Before we even go to meters and before we spend any money, there are a number of things we know can make your home more electromagnetically toxic. And that means, if you have energy efficient light bulbs in your home, contact fluorescent lights for example, they produce a lot of dirty electricity. They emit radio frequencies through the air and they generate ultra violet radiation, which is a carcinogen, linked to skin cancer. If you use compact fluorescent light bulbs that our government is promoting, can actually make a lot of people sick. Normally, the types of symptoms we see are skin problems that don’t clear up, headaches, dizziness, nausea and difficulty concentrating, the symptoms we’ve classified as under the broad umbrella of electrohypersensitivity, and that’s not to mention myalgia, chronic fatigue and insomnia and all sorts of things like that. If you happen to have those light bulbs in your house, my recommendation right now, is to go out and replace them with incandescent light bulbs. I know they’re not nearly as energy efficient, but when you have an energy efficient device, it can make you sick and I don’t think it’s worth it. So, my recommendation is to stock up on the incandescents until the LED light bulbs become more affordable and better quality. That’s coming. JUSTIN: So, with the compact fluorescents, don’t those contain mercury as well? Am I correct on that, or not? compact fluorescent bulbs do contain mercury. The mercury is not a problem until unwrapped ….. …….16.52 ….breaks the bulb. The mercury is contained within the glass envelope and if you break it and it shatters, or if you drop it and it explodes, some of these light bulbs are not really well made and have exploded, then you have mercury in your home. A light bulb has approximately 5 mg of mercury, which sounds like a very, very small amount, but mercury is an amazing neurotoxin and you don’t to be exposed to any of it. It’s in a vapor state so you basically inhale it when you break the light bulb. The EPA, if you visit their website they have information on what to do if you break one of these bulbs in your home. The first thing is to open all the windows and walk outside for at least 15 minutes, until the air begins to clears up. If you’ve dropped it on carpeting, unfortunately it absorbs into the carpet and it will be a regular source. If you’ve dropped it on a hardwood floor, you can clean it up. All the material, including the broken glass, can be put into plastic bags and taken to a toxic waste site to be disposed of. We’re talking about something that really shouldn’t be in your home in the first place with ……..18.08….that can actually break. JUSTIN: Wow, I recently listened to an interview with Dr. Hal Huggins and he said that 1 atom of mercury is too much exposure. MAGDA HAVAS: The problem is, is that it gets transformed in your body and if it’s methylated in your body and your digestive system, for example, it can get into your cells. And, if it gets into your brain, then we’ve got some real problem. You certainly don’t want neurotoxins in your body. We have enough with the mercury fillings, which is horrible. One of the things we recommend is that people have their mercury fillings replaced by a doctor who understands how to do them safely. Eating a lot of fish can increase your mercury content as well. There are ways of reducing mercury in your body once you have it, but the best thing is to minimize getting it into your body. JUSTIN: A lot of people use microwaves. What are your thoughts on the damaging effects of microwaves? MAGDA HAVAS: Well, there are two aspects of microwaves that are important. One is that microwave radiation does not stay within the microwave oven. I have measured quite a few microwaves, and have only come across one oven that didn’t leak. So, if you’re in a kitchen where you turn on a microwave oven, if you’re within 10-15 feet of it, you’re being exposed to microwave radiation. Even if you’re on the other side of the wall that contains the microwave oven, you’re exposed, because this energy goes through walls. The cell phones are microwave radiation, as we can get a reception inside our house, even though the antenna is outside of the house. So, one bit of bad news is that microwave ovens leak and it’s best to go as far away from them as possible if you’re going to use it to heat your food. Another concern about microwave ovens is that it ……..20.01…..
Because it’s working at the molecular level, it can destroy enzymes and if you’re eating dead food, then you’re not getting the same nutritional bang for your buck, basically. So, some people refuse to use microwaves for that reason alone, because it adversely effects the quality of food. I’m less concerned about that aspect because I know less about it. I’m really concerned about the fact that as soon as you turn it on, you’re exposed. And, standing in front of a microwave oven and watching your cup of coffee go around and around, you know when you’re heating it up for the 10th time, is probably not a good idea, because the part of your body that is most sensitive to microwave radiation are your eyes and your testicles. Your eyes are very, very close to that oven and the consequences of that are premature cataract formation, so you don’t want to have that either. JUSTIN: Didn’t the Russians do a lot of research on microwave radiation and things like that, because I don’t think the Russians use microwaves. MAGDA HAVAS: The Russians have done research on this for much longer than we have, and they started looking at the therapeutic effects of microwave radiation, so they started at very, very low levels. We started with microwaves looking at the effects of radar and very high levels, for military exposure mostly, and then eventually occupational exposure. The Russian guidelines are 1% of our guidelines. They don’t allow you to be exposed to as high levels as we do. So, our 24-hour exposure, in Russia you can only be exposed to that for 15-minutes a day, whereas we can be exposed to it for 24 hours. Because of their research, they actually didn’t allow their population to use microwave ovens for cooking, they just thought it was too damaging. They still have better guidelines than we do and they certainly know a heck of a lot more about the biological effects, which seems to be the case here in North America. JUSTIN: That’s fascinating. I wish everyone knew about this information. We have to take a quick break, but will be right back. We’re with Magda Havas and her website is magdahavas.com, so make sure to check that out. We’ll be right back. KATE: Hi, this is Kate and thank you so much for listening to the show. I want to tell you about a product that I love, called Yeast Infection No More. You can find it at extremehealthradio.com/yeast. If you’re like me and you’ve ever had a yeast problem, candida overgrowth, digestive disorders, gas, bloating, skin rashes, allergies, migraines, always being tired and PMS, this is a great system. It will teach you how to permanently cure your yeast infection, rebalance your body, boost your immune system, regaining back your life basically. It has been successfully used by thousands of men and women worldwide. It’s best selling, instantly downloadable and there are 250 pages of jam packed advice and instruction, and is backed by over 35,000 hours of intense research. It is also accompanied by free private mail counseling for three months if you buy the product. So, what is there not to love about it! Find it at extremehealthradio.com/yeast. JUSTIN: Okay, thank you everybody for joining us. We have Magda Havas here, talking about electromagnetic radiation. Magda, I wanted to ask you about some of these things that people have in their houses, dimmer switches. What are some of the effects of those dimmer switches on the lights they have in their rooms. MAGDA HAVAS: Well, dimmer switches increase the amount of dirty electricity that you have, so as you dim the light, what it’s doing is it’s chalking the electricity to reduce the amount of light you’re getting. This seems to be making some people sick. So, if you happen to be electrically sensitive, the best idea is not to use these dimmer switches or to plug in filters that can reduce them at the electrical outlet. JUSTIN: Interesting. So, you can measure the effect of the dimmer switches as well, right? MAGDA HAVAS: Very easily. The meters are inexpensive, approximately $100, give or take. You plug it into an electrical outlet, right close to where your dimmer switch is, and then you turn your dimmer switch up and down and you can see the meter change. It just so happens that some of the dirty electricity that comes into your home through the devices you have, like these dimmer switches and energy efficient light bulbs, can actually go into your neighbor’s home or come into your home from your neighbor’s home. We’ve had people who live close to each other and we’ve had someone change the dimmer switch in their home and we can pick up the reading in the neighbor’s home. So, that’s how much it tends to go along electrical wires. If you’re on the same transformer, you’re sharing some of this dirty electricity as well. JUSTIN: Wow, that’s fascinating. Recently, I’ve been having the idea that electromagnetic radiation could be similar to what smoking was 30 years ago. MAGDA HAVAS: Very much so, very much. I think that’s a perfect analogy, in that a lot of doctors are unaware of this and they are using their cell phones. The cell phone industry takes advantage of this. In the past, if you look at any of the old commercials on smoking, you’ll see that doctors recommended Camel for example, which is one of the tactics they used in the past. They’re using the exact same thing today. Even with smoking, there’s direct smoking and there’s something called second-hand smoke, and that’s true with this radiation as well. You know, if you happen to be using your cell phone, it’s like smoking. But if you’re in the same room as someone using their cell phone, or if you happen to live near a cell phone antenna, then you’re exposed to second-hand radiation. JUSTIN: Yes, and I’ve heard that it can even be amplified if you’re with someone who is using a cell phone, in a train, car or maybe a plane, right? MAGDA HAVAS: That’s right. Metal objects reflect the radiation, so the more metal you have around you, the more reflection you’re exposed to. For example, you asked about the microwave oven earlier. If your kitchen happens to have stainless steel appliances, then your exposure to microwaves is going to be higher when you turn on your microwave oven, simply because of the reflection. If you happen to sleep in a bed that has metal frames, or a spring mattress with coils in it, and you’re exposed to radiation from other sources, then those coils act like antennas and increase your exposure. That’s one of the reasons that your bedroom should be as clean as possible, electromagnetically, so that you have minimal exposure while you’re sleeping and rejuvenating. JUSTIN: What you said right there just made me think of when people have metal in their mouth, like braces or fillings. Do those types of things act as a conduit for electricity. MAGDA HAVAS: They do, and actually there’s two really important points here. If you happen to have braces, and they’re metal braces rather than plastic or some other compound, that wave will cause the microwave to be verbally in your head and will increase the exposure to your skull. So, young kids who have braces and are holding a cell phone up to their head, is probably the worst thing they could possibly do. I have a story about this. There was a young girl who was attending a private school in Toronto and she passed out in the hallway while she was talking to friends. She had never had any health issues of any concern, and, a few days later it happened again in the same hallway and it turned out that her head was very close to one of the wireless routers, the WiFi routers they had in the school, and, she had a mouth full of braces. Her parents had the braces removed and replaced with non-metalic braces and now she is fine, although they don’t like her being exposed to this radiation, for obvious reasons. Regarding fillings, if you happen to have mercury fillings in your mouth, the mercury is actually mobilized. It dissolves when you have microwave radiation exposure. We found this out because a friend of mine had the unfortunate duty of serving in Vietnam, and he was dealing with radio frequencies there. One of the things he told me that the radar operators have to have their fillings replaced, the mercury amalgam fillings, every six months, because the mercury would dissolve and the filling would become loose. It wasn’t because they had bad dentists there, it was simply because of what they were exposed to. There have been a number of studies now showing that mercury levels will increase in your saliva after an MRI scan, magnetic resonance imaging scan, and it will increase in your urine if you use a cell phone, simply because you’re mobilizing more of it. JUSTIN: Golly….now what do you make of all the pregnant women who have their cells phone on them. I’ve seen women who are sitting down at a coffee shop and have their iphone next to their belly. What’s happening to the child in the womb, do you think, from being exposed to that? MAGDA HAVAS: Well, we know that the fetus is very, very sensitive, especially during the early stages when the major organs are developing. Doctors will tell their patients not to smoke, not to take drugs and not to drink alcohol while they’re pregnant. One other thing they should tell them is not to use any kind of wireless device while they’re pregnant, or to minimize the use and certainly to keep it as far away from the fetus as possible. This should just be regular practice now. JUSTIN: Hopefully, it’s become more main stream, but it doesn’t seem like it when you’re out in the world and you just kind of watch what’s going on. I want to ask you about the role of electromagnetic radiation and blood sugar, because I’ve heard that it has an effect on your blood sugar levels. MAGDA HAVAS: We’ve actually done some work with some diabetics. When I got into this, I came from a chemical toxicology background, so I had to learn everything from scratch. It was a very …….30.17…..believe me. This is fairly complex physics and fairly complex biology, the biological changes that are happening in your body. I listened to people, as that was where I was getting my information. One of the things I was told, is that some diabetics have problems regulating their blood sugar and the blood sugar seems to spike when they’re exposed to this radiation. I thought that this is great information and is something that’s very easy to test, because we know how to measure blood sugar. So, I began to work with diabetics. One of the people we worked with, I think this is a really good case example, was a woman in New York who was electrically sensitive. She was also a type-2 diabetic. She regulated her blood sugar to exercise, so she wasn’t yet on any medication. We had her do different things, so if she walked for 20 minutes, her blood sugar came down to normal. It didn’t matter how high it was, it came to a normal level. So, walking was a really good way for her to regulate her blood sugar. On days that she didn’t feel like going outside and walking, she would work out on her treadmill and would walk on the treadmill in her basement. And, whenever she’d get back, her blood sugar would spike. So, instead of going down, it would actually go up. This is contrary to our understanding of what should be happening, because you’re exercising your body, it requires the sugar for energy, so it should be burning the sugar rather than increasing it. It turns out that some diabetics are also electrically hypersensitive and this produces stress on the body. When a diabetic patient is stressed, whether it’s physical stress or emotional stress, the way they respond is their blood sugar goes up rather than down. So, the doctors who are prescribing exercise to their patients who are diabetic, thinking that they’re doing good, should actually tell them to exercise in a clean environment and to minimize their use of any kind of technology that’s plugged in, because that might have the opposite effect. It turns out that you can actually use this to determine if you’re electrically sensitive. So, if you are diabetic and your working out on a treadmill and your blood sugar goes ……..32.34 inaudible…..chances are you’re not sensitive. If it perks up or doesn’t move and stays high, then you probably are electrically sensitive……..
JUSTIN: So, in what other ways do you think it effects the body, I guess it’s hard to say, other than leukemia and blood sugar …….32.53….diabetes, but what other ways do you think it has an effect on the body? MAGDA HAVAS: Well, we’ve also worked with people who have multiple sclerosis. There was a school in Wisconsin that had, what we would now call ‘sick building syndrome’. The students were constantly ill and the teachers were constantly complaining and the School Board basically did nothing about it for quite a long time. The teachers threatened to call the Union then, because the symptoms were really quite severe. When these people went home and when they were away on the weekend, or during the sumnmer, many of their illesses went away, so they realized it had something to do with the school. And so the school decided to take this seriously and what they did is that they cleaned up the chemicals and the mold and other types of toxins in the environment. The teachers and students came back in September and they got sick again. So, whatever was causing the problem was not removed with this cleanup. So, they called in a power quality expert and he measured the power qualities and said that it was high and that it was bad. He plugged in filters to improve it. These are special filters that you can use inside buildings. The utility is aware of filtering no power quality when they have a problem, so this is technology that has been around for a very long time. So, he cleaned up the power quality and what was fascinating was that in the school they had a number of students who had asthma and required inhalers on a daily basis. They stopped using their inhalers, so that’s one of the other things that seems to have an effect on asthma. And, if you know that young people, the rate of asthma is really quite severe, even though we haven’t had worsening of air quality, which is what we tend to associate asthma with. So, that was one of the improvements and the other was that the teachers were saying they had few headaches, they had more energy, and overall, people were feeling much better. One of the principals in the school had multiple sclerosis and her symtoms were very severe, and she was actually planning on retiring at the end of that school year, because her mind wasn’t functioning and she had physical problems as well. She said she couldn’t remember the names of her students on bad days, and she realized she couldn’t remain being a teacher. Her MS cleared up and her symptoms went away. They only came back when she re-exposed herself. So, I thought I had to work with people who had multiple sclerosis and they have all sorts of different neurological symptoms. We cleaned up their homes and we documented their symptoms and after the first three people I worked with, their improvements were so dramatic that I couldn’t believe the results, and I was seeing them. I thought that there’s no way anyone is going to believe this, because they were very rapid and really quite significant. So, I began to videotape them and I would videotape them before we cleaned up their home environment and then after. These people were so adversely effected by MS, that they spent 24 hours a day at home. They very rarely went out and they didn’t have the ability to work. we cleaned up their environment and within days, in some cases, and within weeks in others, they were walking and they stopped using their canes, their tremors went away, they were thinking clearly, they were able to sleep at night, their energy came back and they went off antidepressants. I mean, the results were absolutely dramatic. So, we got a proposal in to the MS Society to see if we could actually repeat this with a larger sample and do it in a blinder fashion. I don’t think this is a psychosomatic response, the results were too dramatic. But to really minimize that from a scientific research perspective and see what we get, but the results were really amazing. So, it helps people who are diabetic. Some people who are diabetic also have to be electrically sensitive. It helps some people who have MS, also have to be electrically sensitive. Not every MS patient we worked with improved to that degree. So, what we need to determine is what percentage of the population is responding adversely to these frequencies and what can we do to mitigate their exposure and improve their health. JUSTIN: It scares me when I look out and see these cell towers next to schools and I see pregnant women with iphones. It’s just crazy. We have to take another break and when we get back, we’ve kind of laid the ground work as to why these things are so bad and how they effect the body. In the next segment, I want to talk a little about what we can do to mitigate some of these things. And. there’s lot of different things we can do, right? JUSTIN: we’ll take a short break. We’re with Magda Havas and she runs a website called magdahavas.com, so make sure to check that out. We’ll be right back. Hey, what’s up everybody? I just wanted to talk to you a little bit about the paleosummit that was put together about our man, Sean Croxton. This is a summit that took place live over eight days, and I believe there are 23 video presentations, 23 audio files, 18 hours of cutting edge information and 300 pages of transcripts. Now, this program is really an amazing program. If you’re looking to make some permanent changes in your diet, and if you’re tired of struggling with fat loss or weight loss, and you’re struggling with food addictions and are just looking for a permanent solution, this is definitely something you want to check out. You can find it at extremehealthradio.com/paleosummit. They talk about things like gluten sensitivities, how to curb food addictions and cut back on food cravings, how animal foods and things like cholesterol do not cause heart disease or degenerative diseases. How to deal with things like bone loss, cancer, muscle pain, autoimmunune diseases and how to burn fat and all that kind of stuff. 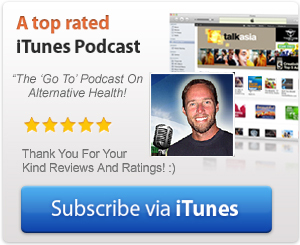 So, if you’re looking to change your diet once and for all, definitely check that out. It’s at extremehealthradio.com/paleosummit. Okay, let’s get back to this interview. We are with Magda Havas at magdahavas.com so make sure to check out her website for more information. One last thing Magda, I want to start focusing on some of the positive things that we can do. One final thing I wanted to ask you about cell phones and things like that. I’ve been able to determine, after looking into this for a few years, is that the radiation actually breaks down the blood brain barriers, to especially children. Is that true, or is that something I just read? MAGDA HAVAS: That is true. One of the critical things is that the blood brain barriers really protect the brain from any kind of chemicals that shouldn’t be going in there, and one of the things we found is that there is an increase in the permeability. This information is now so well accepted, but it is being used clinically. In a clinical environment, if you’re trying to get a drug into the brain, it’s hard to get it in there because of the blood brain barrier, so what doctors are actually doing is that they’re exposing the brain to microwave radiation first, which opens up the blood brain barrier and then they deliver the medication. So, it’s being used therapeutically to help under certain circumstances. JUSTIN: So, now that it can also be used in a good way, this is also causing harm to be done to people’s brains, right, from the radiation itself. So, it opens up that barrier and then the frequencies get in and do all kinds of damage to the brain. Is that how it works? MAGDA HAVAS: Well, the frequencies can get in anyway, because the frequencies can penetrate through the skull. What we don’t want are other chemicals getting into the brain, and that’s what the blood brain barrier does, it allows chemicals that shouldn’t be in there to get in there. And so, by holding the cell phone to your head, you’re actually increasing potentially harmful chemicals getting into your brain. So, that’s some of the reasons you shouldn’t be putting the cell phone to your head. But, there are other ways of using your cell phone, simply by moving it away, text and do various things like that. JUSTIN: Okay, and now I want to talk a little bit about some of the positive things we can do. I have a grounding mat here, but I have no idea about it. I just got it because I heard it was a good thing, but I’ve been learning recentl that there are times when the grounding mat may not be a good thing. Can you tell us a little bit about what grounding does? MAGDA HAVAS: Sure. In the past, people used to walk outside a lot more, they didn’t travel in cars, they walked to places. They didn’t always have their feet covered, and they were much more in contact and closer to the earth. Now we live in high-rise buildings, we’re in cars all the time, so we’re disconnected from the earth. If you walk barefoot on grass with dew on it, you’re getting a really good ground connection, and you’re equilibrating your body to the earth for the amount of electrons you have in your body, so you’re grounding. This is called grounding yourself. And normally, this is a really, really good thing to do. That’s what the grounding mat attempts to do. In the areas where you have a ground current problem, which means that there is too much electricity flowing through the ground, if you stand barefoot in one of those areas, then this nasty radiation is coming into your body, and it flows up one leg and down the other leg. This what has been causing problems on farms with dairy cattle, pigs and various other animals. So, using grounding would normally be a good thing, unless you have a ground current problem. The way the grounding mats are used, you can either plug a metal rod into the ground and ground it that way. That would be the best way to use them, or you attach it to the ground in your electrical circuit, and that’s not the best way to use them. The reason for that is your electrical ground in your socket is actually attached to the neutral to your electrical panel. At the electrical panel, your neutral and your ground are bonded. So, you can have things going onto the ground that can go into your body. Depending on any kinds of errors you have in the grounding system in y our building, or dirty power that you might have and that can actually get into your body. You have to use the grounding technology intelligently. What I tell people is, if you’re using it and you’re noticing a benefit, you are probably okay. If you use it and you’re noticing that it’s not making you feel any better or you’re actually feeling worse, then chances are you’ve got a ground current problem and you shouldn’t use that technology in that environment. JUSTIN: Is that because there’s actual frequencies that the power companies, don’t they try to use the ground to get some of their currencies going back to them? MAGDA HAVAS: That’s right. The electrical utility, you know the wires we have there, the power lines, many of them in some communities were built 50-60-70 years ago and they weren’t designed for our electronic components. That’s one of the problems we’re having. We had a line designed for totally different kind of use. Let me just go back a few steps. You have to have a circuit in order to have electrons flowing. So, you have something called hot wires and you have something called a neutral. If you look at any kind of light that has two prongs, one is the hot and one is the neutral and it sets up a circuit, just like you have in a battery, for example. You have to have both ends connected before you can light a light. What’s happening is that the neutral wire that we have with power lines, doesn’t have the capacity for it complete that circuit, so what the electrical utility has done is that they have taken that neutral wire and they have run another wire and they’ve grounded it. This is on your pole. You can actually see them on some of the poles. What they’re doing is that they’re putting the electricity into the ground to come back and complete that circuit. Basically, what you have is that the ground becomes another wire in your circuit and this is what’s causing the problems. What they should have done, is they should have increased the capacity of that neutral by having another wire or by having a thicker wire. This is much more costly, so they have taken the cheap route. Because of that, it’s caused all sorts of problems. I was just at a meeting a little while ago, and I was talking to health and safety people from the electric utility, and one of the engineers came up to me, one of the linemen, came up to me and said we well ground the neutral to reduce ground current or………45.59…..voltage. He didn’t even understand why they were doing it. They’re not doing it for that reason. What they’re actually doing is increasing the problem, rather than reducing it. So, you have a technical lack of knowledge among some of the people who should be experts in this field, which is really quite disturbing. JUSTIN: Yes, so those people are actually working for the companies and they don’t even have any idea. MAGDA HAVAS: They don’t understand, which I found to be quite amazing. JUSTIN: Okay, so with grounding it could be extremely beneficial, but you just have to do it correctly, right? MAGDA HAVAS: Exactly, it’s like with anything. If you do it correctly and understand what the parameters are, when it works and when it doesn’t, then you can use it intelligently. Some people have made amazing recovery after they have ground themselves. I know that some of the engineers and electronic experts, when you’re working on some sort of electronic equipment, you have to have a ground band on, as you don’t want any kind of sparks to interfere with what you’re doing, as it could actually destroy the component your’re working on. So, they are constantly ground. But in some occupations, you’re not grounded and it’s almost like you’ve charged up. If you work on a computer all day, for example, and you’re touching the keyboard, you’re connected to the circuit, and those electrons move through your body. The can actually accumulate in your body. One of the things you can do to discharge yourself is to take some metal foil, you know aluminium foil will work, and stand on it barefoot and this will draw the electrons out of your body, so you don’t have an excess charge. That’s what grounding does as well. So, you don’t have to connect yourself all night long to a grounding mat in your bed. You can simply discharge yourself with any kind of metal object over a few minutes. JUSTIN: So you would just maybe stand on, let’s say you’re in a high-rise building working all day, or maybe you live in a high-rise, you can stand on some tinfoil maybe for a couple of minutes? MAGDA HAVAS: Exactly. The only thing you want to be careful of, if you’re in an apartment building, for example, don’t do it under a light, because that light is actually in the apartment below and it’s a source of exposure. JUSTIN: There’s so much to think about. I tend to think that this electromagnet radiation and all these frequencies we’re being exposed to, seems to be like a low level stress on your immune system that eventually will just wear your immune system out sooner than it would normally. MAGDA HAVAS: That’s exactly right and you know the things we tell people to do, who are exposed and feeling adverse effects, and if you want to minimize those adverse effects, there’s a number of things you can do. The first thing is to minimize your exposure, so you have to measure it as best you possibly can. If you have wireless technology in your home, you don’t have to necessarily measure it, just get rid of it and replace it with something wired. The cordless phones for example, radiate 24/7 whether you’re using them or not. You know that big cradle that you put your phone in, is producing microwave radiation all the time, even when you’re not using it. So, that has to be removed and replaced with something wired. Smart meters that are being placed on homes now, are making people sick. You have to try to minimize your exposure as much as possible and that can include replacing the technology or putting up shielding material that is available now, so the technology is really being prevented, the counter measures are being made available to people. The first thing you do is minimize your exposure. The second thing you need to do is build up your immune system, because it does exactly what you said, it just wears you down. Once your immune system is worn down, then you become susceptible to all kinds of secondary problems, you know infection, your colds last a long time and you just simply don’t recover. You feel tired all the time, because your body is so busy trying to keep homeostasis and it’s probably losing the battle. The third thing you need to do, once you’ve built up your immune system, and that would be with proper nutrition, exercise and sleep, and all the good things we know work. The other thing you need to do is that you have to detoxify your body, and you do that third, because your body won’t be able to take the toxic release load if you do it too early. You do that with saunas and various other methods, chelation therapy if it’s very, very severe. Those are three things, reduce your exposure, build up your immune and then detoxify your body. Then you’re able to tolerate it without symptoms. It doesn’t mean you should tolerate it, but at least it means your asymptomatic. JUSTIN: For our listeners out there who are probably working like I am at a computer all day, I’ve heard, I forget who it was, talk about some sort of like rock dust, I forget what the substance was that he would put around all of the electrical equipment. Have you heard anything about, I know it’s not rock dust, but it might be something similar to that. Do you know anything about that. MAGDA HAVAS: No, I’m afraid I don’t. I don’t know exactly what you’re referring to. JUSTIN: Gosh, so it’s a really difficult thing to figure out how much you’re being exposed to and how to mitigate it. Now, I’ve heard also that there are things like special types of shirts, and you mentioned before about paint you can put on your walls. Do they mitigate the electricity in the sense that when the radiation hits it, it diffuses it or does it just reflect it. How do some of those things work? MAGDA HAVAS: First of all, there is film that you can put on your windows. If you happen to live where there is a cell tower across the street from you, most of the radiation is going to come in through the glass, although some will come through the wall as well, so by simply covering the glass with the film, I think 3M produces, you can reduce your exposure considerably that way. A lot of these products really, really do work. Or you could put fabric on your windows, it’s a translucent gauze like fabric that has silver fiber in it. The silver reflects the radiation and both of these cases are reflecting the radiation, so it’s not coming in. The problem is, if you make curtains and put them on your windows or on your walls and you have a source that’s in your home, then you’re actually increasing your exposure, right, because it’s reflecting it back towards you. MAGDA HAVAS: You have to be able to measure, or have someone professionally install these things, and measure them based on your specific environment. Many people tend to want to have a clean sleeping environment, so what they will do is that they will make a canopy that goes around their bed, using this silver fabric. They just put it all around their bed and it’s almost like they’re in a faraday cage, the outside and the top and the bottom, so you have to totally enclose yourself, and they sleep like that, minimizing their exposure during the night and that will actually help them quite a bit. Depending on what your source is, you have different types of mitigation strategies. There’s also paint available. It’s a black carbon paint and it will do the same thing. It will block the radiation. It has to be grounded, so you have to have a little metal strip that you attach to the wall and ground to your electrical power supply. to draw the electrically way to ground, as it will build up a charge if you don’t do it that way. There’s clothing you can buy. The clothing was first developed in China, because they have the one child policy, and they wanted to ensure that that one child was going to be healthy. So, the women who were working began to use aprons that had the silver fiber in them. Then, they decided that they really wanted something more than just a grey apron and they began to make clothing. You can either buy the material and have the clothing done here. You can buy underwear for example, and that way you can keep your cell phone in your hip pocket because the fabric is actually protecting your body. JUSTIN: What do you make of some of the stuff that you can see on …….54.14…..website. They have some good products as far as I know. What do you make of some of that stuff? MAGDA HAVAS: Well, I tested their products and that was before I met …….54.22….. and I mentioned to you that we work with diabetics and people with multiple sclerosis. It was his filters that we were using that made the difference. I totally vouch for his filters. It took me a long time to get to the point where I would recommend them in public, because people would think I’m getting a kickback or something when I’m promoting a product. I have to sort of go through this kind of mental exercise, you know do the filters work, and my answer to that was ‘yes’ based on our research. Do you want people to benefit and improve, and the answer was ‘yes’. So I actually decided I was going to come out pubically and talk about the filters. They really do work, and I know there are a lot of copies now, and I have no idea if they work, as I haven’t tested them. So, I can’t vouch for anything other than the ones I’ve tested myself, and for your listeners, I don’t get any kind of kickback at all. I can’t because of my objectivity. So, products that do work, I recommend to people and I don’t benefit financially from any of them. I know that the fabric works, the film works and I know the paint works. We’ve measured it and I know the filters work as well. It was those filters that were placed in the school in Wisconsin that benefitted the students with asthma. So, this is really a technology that is there, it works and it’s really quite amazing. JUSTIN: It’s almost as if we are trying to relicate something that’s more natural, because our environments are so unnatural, not just from the EMFs but from the toxins inside the house. Basically, we’re just trying to replicate something much more natural that we’re supposed to be living in. MAGDA HAVAS: That’s right. The more natural we live, I think the healthier we become. So, going into environments, swimming in the ocean where you’ve got beautiful salt water and you’re not near a sewage disposal site, those are the best things that we can do for ourselves, I think. JUSTIN: We have to wrap up here, but I wanted to ask you, in what direction are you headed? Are you working on any new projects or working on your website? What kinds of things are you working on? MAGDA HAVAS: I’m working on two different things. One is I’m working with people who have developed this electrosensitivy. We think that probably one-third of the population is adversely effected to some degree in a minor way, and if we can get doctors to properly diagnose these people and they can make changes in their home environment, their health can improve. Basically, we’ve got a population in North America that is chronically ill. The amount of prescription drugs that people are taking is astromical. and we need to change that. We need to get them living more healthy. The other thing I’m looking at is that I’m beginning to study the beneficial effects of pulsed electromagnetic fields. We know that certain frequencies are harmful, there’s absolutely no doubt about that, but certain frequencies are actually beneficial. Some of these have been used for decades to heal bone fractures. I recently attended a laser workshop, where they were using it for wounds and the healing of wounds is incredible. The rate of healing and the fact that it reduces pain, particularly for things like burns. So, using electromagnetic energy and light energy as a method of healing and I honestly believe that this is going to be the medical technology of the future. This and stem cells I think can make a huge difference in the health of a lot of individuals. JUSTIN: Speaking of stem cells, we just had Dr. David Steenbock on and he’s a stem cell researcher and doctor here in California. I agree. MAGDA HAVAS: I listened to that interview and it was absolutely excellent. I just came back from a workshop in Thailand that was also on stem cells and the results were truly amazing. They were actually able to help Down Syndrome kids with stem cells, to the point where their facial features begin to normalize. Not only do they improve cognitively, but they physically change. It’s absolutely amazing research. So that, plus electromagnetic therapies, and their various forms, are really a better way to go than pharmaceutical. JUSTIN: It’s so exciting what’s going on. There’s one final question which I didn’t get to and I know some our listeners maybe thinking about this. Are there people out there, like you, that someone could hire, for example, if they think that this is all very complex, could someone just come out to my house and fix it? Are there people out there who do that? MAGDA HAVAS: Yes, there are. There’s a group called ‘the Building Biologists’ or Bau Biologist. They startedin Germany and they are now quite active in North America. You can look them up and hire one of them to come out and do measurements. They are very good at radiofrequency radiation and low frequency electromagnetic fields. They are not good with the ground current and the dirty electricy. The dirty electricity is actually easy enough for you to measure, with $100 meter and a $35 filter. That is something that you could do yourself, but for the other ones I would hire one of the Building Biologists, just local. I think you can go onto their website and it will tell you who is in which community. JUSTIN: It’s probably buildingbiologists.com or something like that? MAGDA HAVAS: I don’t have their website handy, so I can’t give it to you. If you do a google search for ‘building biologists’ that should find it for you. JUSTIN: Excellent, and thank you so much. Would you mind holding on while I close out the show? MAGDA HAVAS: No, it would be my pleasure. JUSTIN: Excellent, thank you. Thank you so much everybody for joining us. I really, really appreciate you spending some time today listening to your show. I hope you learned a lot of information and maybe you can take a couple of these nuggets and improve your life in some way. If you found value in this show, I would really appreciate it if you would share this show on Facebook, as well as Twitter and things like that. That would help us get the word out even more about this information, as I think it’s critical. 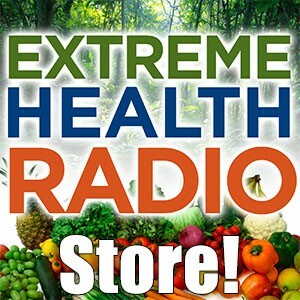 Also, don’t forget we have a store, with lots of really, really great products and that’s really the main way that we are supported and try to stay sustainable here at extremehealthradio.com. So check out our store and see if there’s any products you might like. Also, we are 100% listener supported, so if you would like to donate, you can donate as little as $1 or as much as you would like. That would be much appreciated and it would help us tremendously. So, thank you so much and we will catch you on the next episode.